- Processor type: Intel® Atom™ Processor N455. - Processor speed: 1.66 GHz. - Operating system installed: Genuine Windows® 7 Starter 32-bit. - Storage: 320 GB SATA Hard Disk Drive 7200 rpm. - Processor cache: Level 2 cache 512 KB. - Processor system bus: 667 MHz FSB. - Graphics: Intel® Graphics Media Accelerator 3150, up to 256 MB total available graphics memory. - Display resolution: 1024 x 600. - Maximum memory: Supports up to 2 GB DDR3 memory. - Memory slots: 1 user accessible memory slot. - Standard memory: 2 GB DDR3 (1 x 2048 MB). - Multimedia: Dolby Advanced Audio. - Network interface : Integrated 10/100BASE-T Ethernet LAN. - Webcam: Webcam with Integrated Digital Microphone (VGA). 3 USB 2.0 ports; 1 RJ45 ethernet port. - Battery type: 6-cell Lithium-Ion (Li-Ion) battery. - Power supply type : 40 W AC Power Adapter. - Wireless technologies: Intel 802.11 b/g/n; Bluetooth® wireless networking. 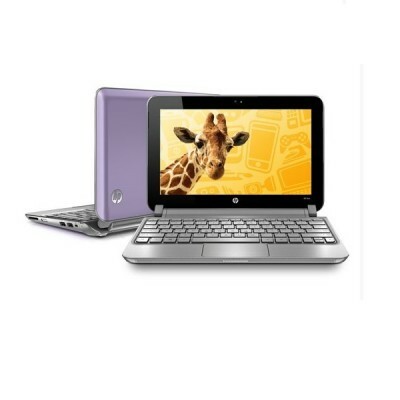 Clique no botão abaixo para adicioná-lo Netbook Mini HP 210-2045BR N455 (XR172LA#AC4) para sua Lista de Favoritos.